Casting for Recovery Takes an Unconventional Approach to Enhancing the Quality of Life of Women with Breast Cancer. 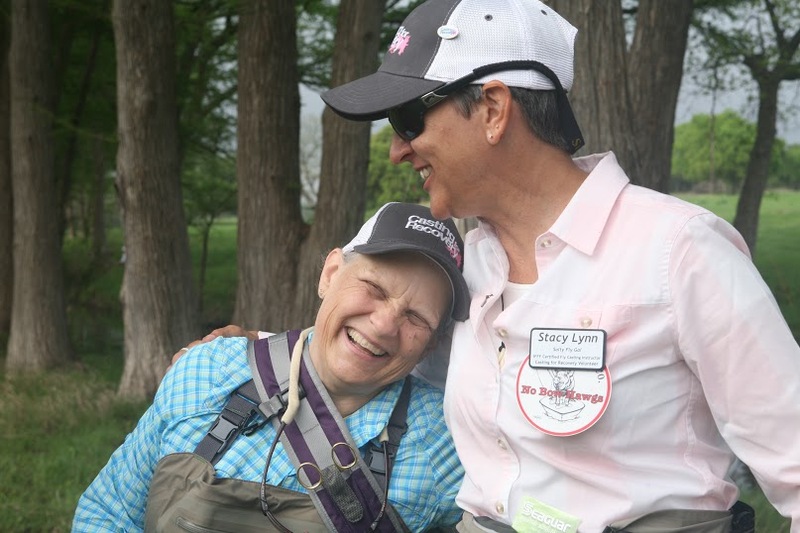 Twenty years ago, a fly fishing instructor and a breast cancer reconstructive surgeon came up with the idea of introducing breast cancer survivors to fly fishing. 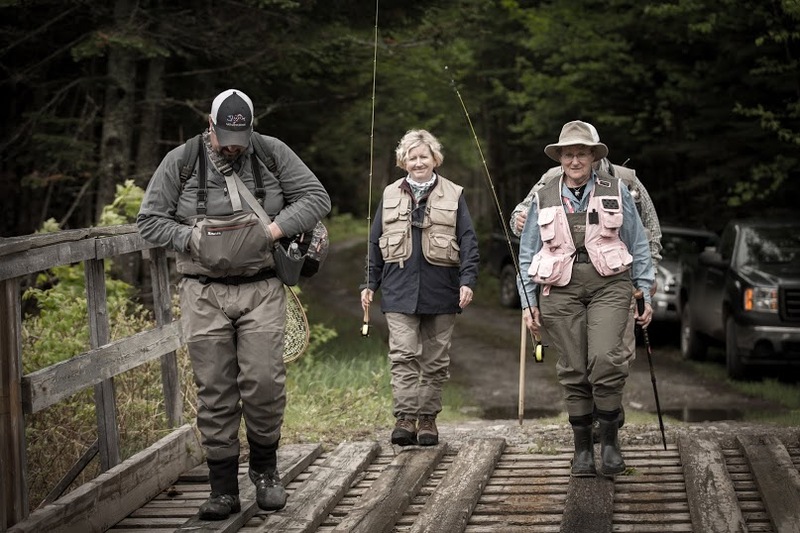 Their idea quickly took shape in the form of Casting for Recovery, an organization dedicated to giving hope to women diagnosed with breast cancer through fly fishing.Today kicks off Breast Cancer Awareness month as well as the release of Simms’ Casting for Recovery Collection. The collection contains limited edition CfR inspired products, all profits of which will go directly back to CfR. For the past two years, Whitney Milhoan has served as executive director for CfR but started volunteering with the organization as soon as the popularity of the retreats spread to Montana. “I initially found out about CfR sometime in the 90s while listening to an interview with Joan Wulff, who mentioned it. I was guiding in Glacier when the program reached Western Montana in 2010 and I immediately wanted to get involved.” says Milhoan. So what goes on at a CfR retreat? 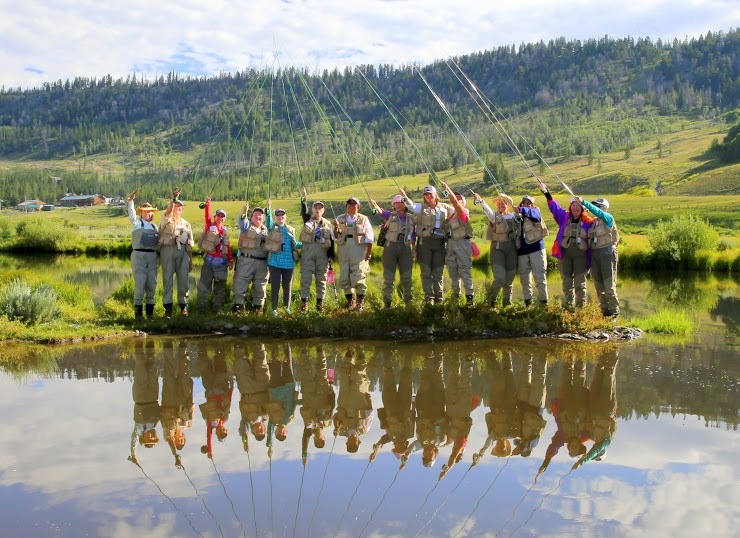 At a glance, a CfR retreat may appear to be just like any other fly fishing 101 workshop but in reality, there’s a lot more going on than meets the eye. 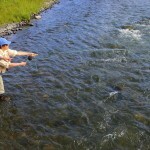 “Friday and Saturday, we start with sessions covering the basics of casting, knot tying and even entomology.” says Milhoan “For somebody who has been fly fishing for a long time, tying a clinch knot might seem to be about as basic as it gets. But to CfR participants, 100 percent of their focus is on tying that knot — not on dealing or worrying about the struggles of cancer. Between all the 101 type seminars, we also have medical and social sessions facilitated by volunteer doctors, nurses, counselors and therapists giving women a chance to address physical concerns about treatment and long term side effects. 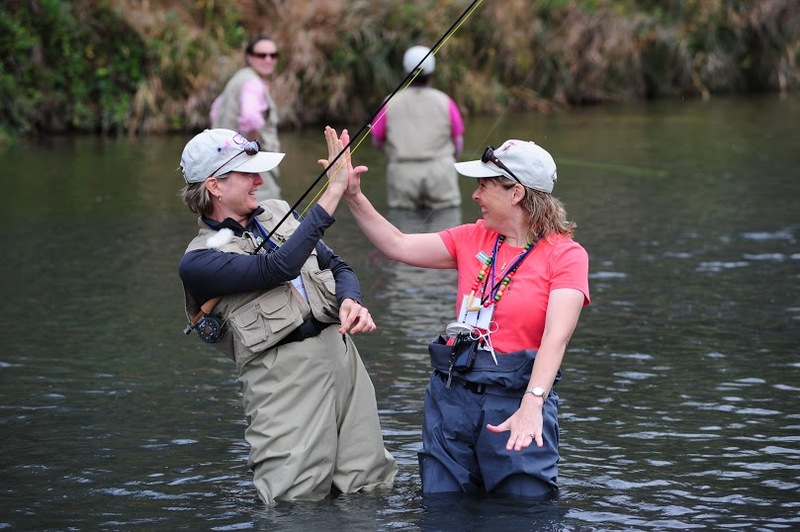 The retreat culminates on Sunday where each participant gets the chance to put what they learned to use on the water with guides and avid anglers who donate their time for a half day of fishing. In addition to the physical, mental and emotional benefits, CfR retreats also function as a support group for women to be around other women who have gone through or are going through the same physical, mental and emotional struggles. 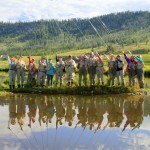 “Really, the beautiful thing about CfR retreats is simple. 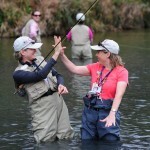 Fly Fishing becomes the catalyst for healing. The majority of the women who attend have never been to any kind of conventional support group so that tells us this somewhat unconventional approach is really meeting a need.” says Milhoan. 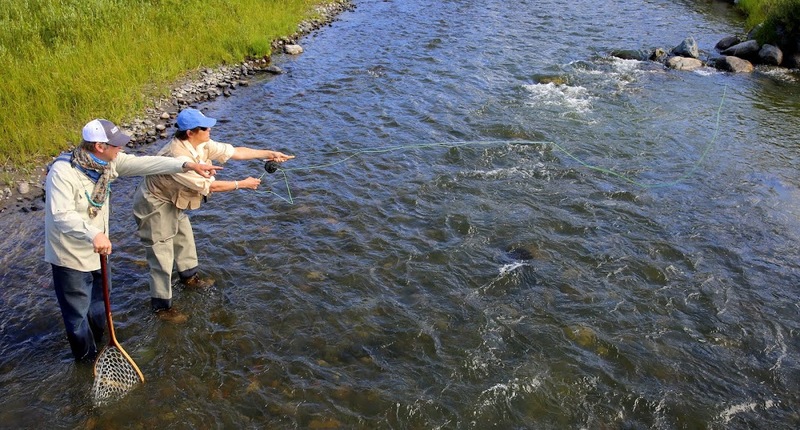 For those of you who fly fish, you probably understand what it feels like to watch a newcomer to the sport get that first fish to come up on a dry fly. Imagine how powerful it must be to introduce your passion to a newbie who could truly use something uplifting or inspirational in their life and get that same reaction. To date, CfR has served over 7,500 women. As of now, space is limited for retreats. Women are selected through a lottery system and the only cost for participants is getting to the location. 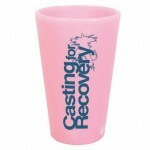 Learn more about Casting for Recovery here. 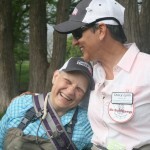 Topic(s) Breast Cancer, Casting for Recovery, CfR, Simms by John Frazier. Bookmark the permalink. I was one of the lucky chosen to attend this years Oklahoma/Arkansas Casting for Recovery retreat and I can’t tell you what a life changer it was. I had to miss one day of my radiation treatments to attend but it was so worth extending them. My new lifelong friendships that I made are priceless. The healing, bonding, comradeship that we all experienced was amazing. I learned so much more about breast cancer from the other ladies in attendance. I shed some tears, laughed, and smiled more than I had in quite some time. This was just what I needed! I can’t thank Casting for Recovery and all of the sponsors enough. 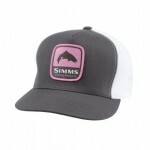 Thank you Simms for your part in my experience, it is something I will treasure for the rest of my life.